This property is certain to impress as one that stands out from the others. A big plus is having had a regular maintenance program & being in the one family since new. On offer is this well loved, three bedroom weatherboard & tile home with separate lounge & dining, huge family room and double garage. 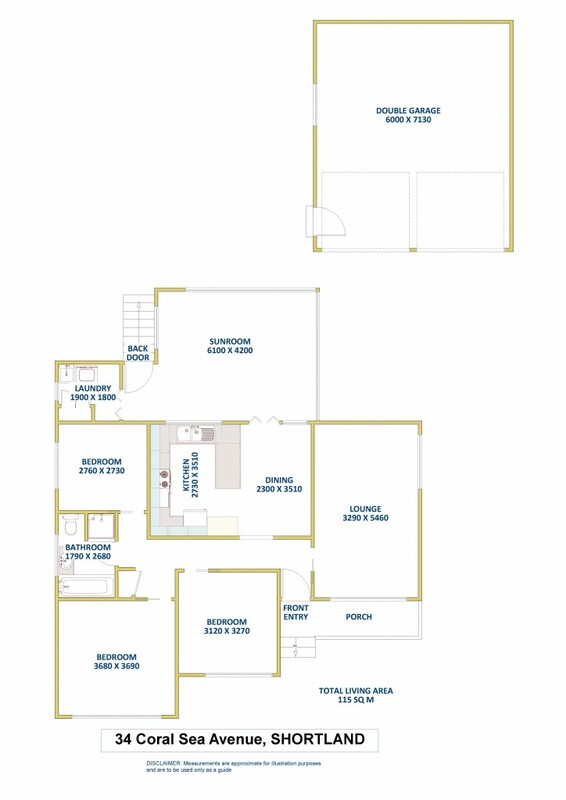 All three bedrooms are comfortable & the master bedroom with ceiling fan and wide windows will impress with its size. Bedrooms two and three are good size and offer fresh paint and modern carpet. When entering from the front porch you are greeted with the doorway to a double size, light filled lounge area which has a ceiling fan and air conditioner. In the kitchen there is ample storage including a full sized pantry, good fridge space and easy to use electric bench height oven - cooktop. Abundant benches combine with a four seater breakfast bar. Off the kitchen is a large dining area and family room with a pleasant north aspect and vista views over the fenced back yard. A double garage with workshop is in the first section of the separated yard. The back area once contained a small orchard of which two magnificent mango trees still remain. At 695.3m2 with a 15.2m frontage and 45.7m length, this block is an excellent size. Vehicle through access at the side of the home & your sewer connection at the rear corner of the yard offer possible options for a second dwelling. To view the property contact exclusive listing agent Allen Reece on 0409 814 400 or call the sales department on 02 4950 2025.